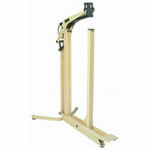 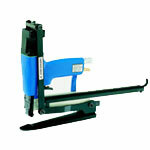 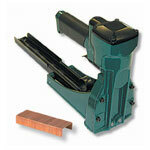 This lightweight carton stapler is used to close corrugated boxes utilizing a wide crown staple. 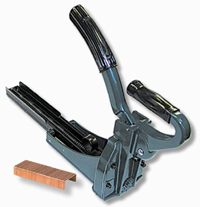 Commonly found in shipping rooms because of its general utility it is also heavily used in agriculture to close boxes in the fields. Carton Closing (ISM) is a respected manufacturer of packaging staplers.